Ross Browne is one of the best emerging stand up comedians in the country. He is a star of RTE 2’s hit hidden camera show THE FEAR as JIMMY, BAD BOUNCER, SERGEANT MAJOR and DOLF. 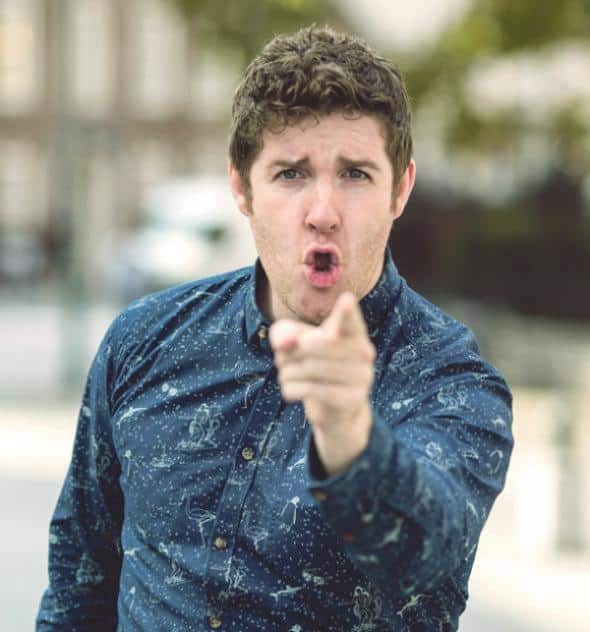 He has also performed stand up on national TV in the RTE NEW COMEDY AWARDS and was featured on other RTE comedy shows such as THE YEAR THAT’S IN IT. He has been a guest on RTE 1 TODAY SHOW and TV3 SEVEN O CLOCK SHOW. His razor sharp material and high energy delivery mixed with on the money impressions and painfully true stories have cemented him as one of the most promising stand ups in recent years.